« M27 Rootstock for Apple: information please? That the apple will grow all over the world is perhaps one reason for its widespread role in folk-lore and everyday life. It is at home from the United States and Canada to Europe and across to China and Japan and from Argentina and Chile to South Africa, Australia and New Zealand. 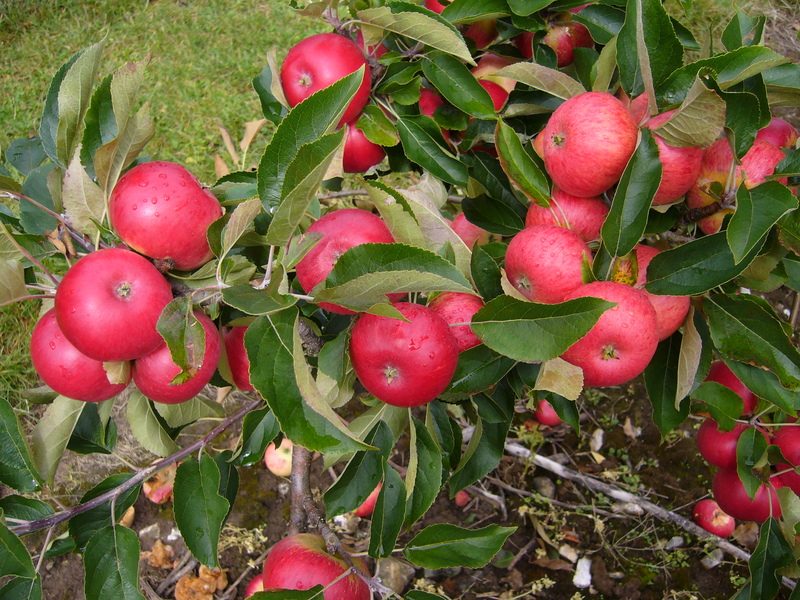 Apple trees can succeed in very different climates and from just the posts on this web-site, you can see the range in which it grows: from the very hot – California, Tamil Nadu (India), Malaysia and Uganda – to the very cold – Iceland. Even the most traditional variety, the English Bramley’s Seedling, is planted in California and Japan! Read the excellent chapter on the domestication of the apple in the book ‘Wildwood’ by the sadly missed Roger Deakin to see how selection at first by wild horses and lately by migrating humans from central Asia along ancient trade routes has led to the diversity we see today.